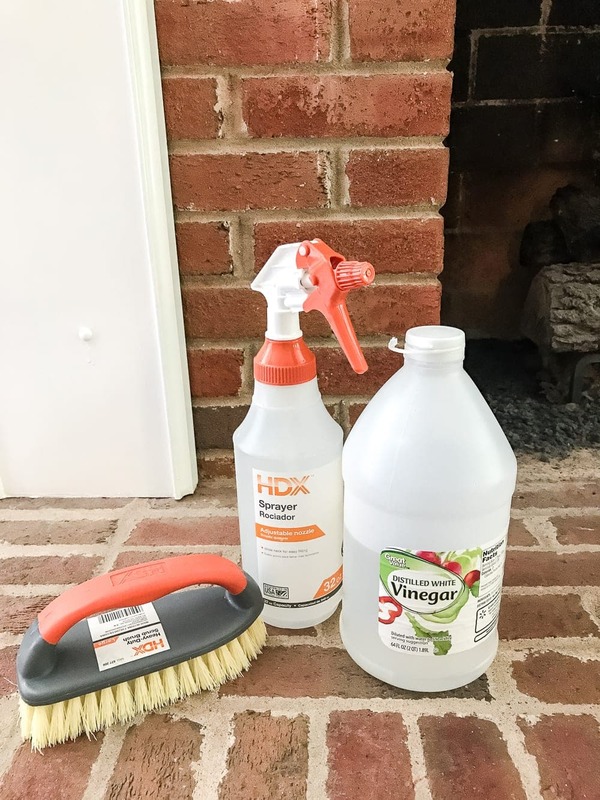 A dirty and tired orange brick fireplace gets a brightened up, weathered lime washed brick makeover, plus a full tutorial to do it yourself. Welp… I finally worked up the nerve and faced my fears, y’all. The dirty orange brick fireplace is GONE! I mean, I didn’t go all dragon-level destruction on it (who watched GoT last night?! ), the fireplace is still there and all, but it’s looking waaaaay different. See that sooty brick action? I wanted to love it. I really did. And I tried my best to accept it the way it was. I sat out with good intentions thinking I’d just scrub it down like crazy and see how I felt about it after. All it takes is a spray bottle, some white vinegar, a heavy duty scrub brush, and lots and lots of elbow grease. 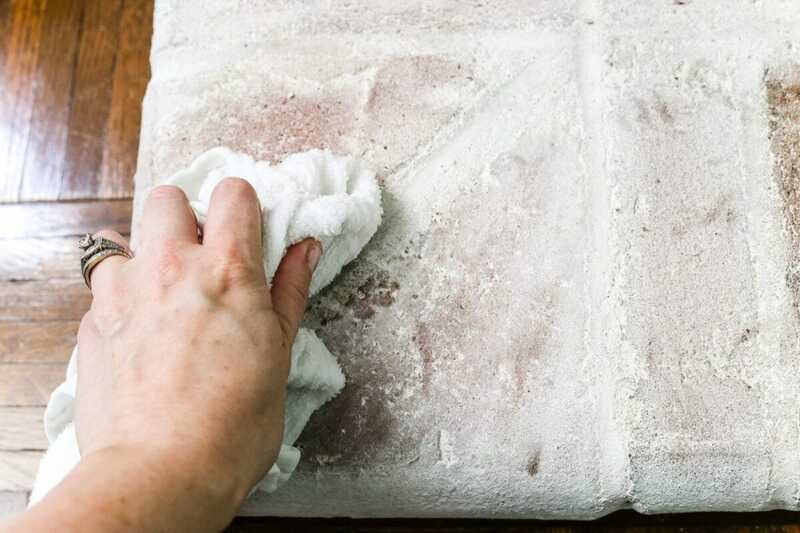 Just mix 1 part white vinegar with 1 part water in a spray bottle, saturate the dirty brick with it, and scrub scrub scrub. Good as new brick! But then I still wasn’t totally in love. 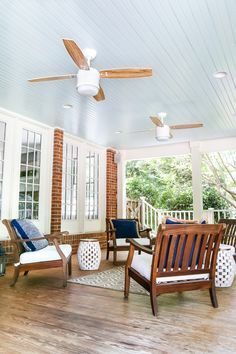 For years, I’ve been pinning German smeared and white washed and lime washed brick left and right on Pinterest telling myself that one day I was actually going to find the perfect brick project to try out one of them. So lime wash was the happy in-between. 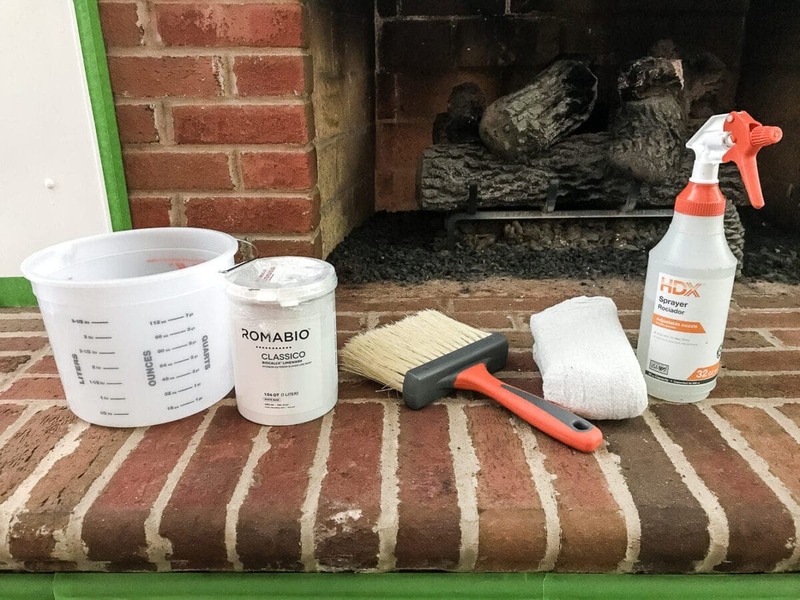 I had no idea there was a difference between white washing and lime washing before doing lots of research on the two when trying to figure out my big plan for this fireplace. 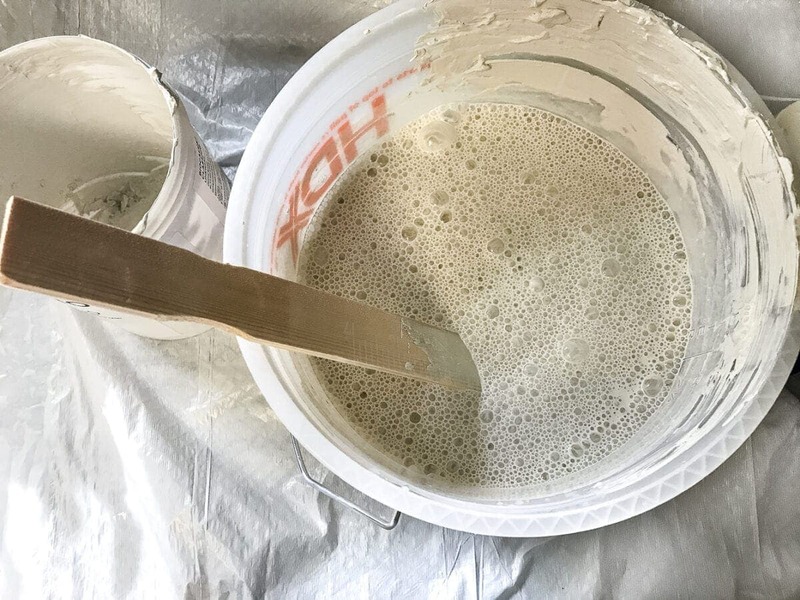 White wash uses paint and water to create an evenly lightened brick finish; lime wash uses slaked lime and water to create a more coarse, chalky weathered look and was used for centuries in Europe before paint was invented. 1. I dumped the entire liter into a mixing bucket and followed the instructions on the back of the Romabio container, adding equal parts water. I didn’t have a paddle drill bit to attach to my drill, so I went old school mixing it up with a paint stir stick for quite a while. The drill bit would work a whole lot faster though. 3. 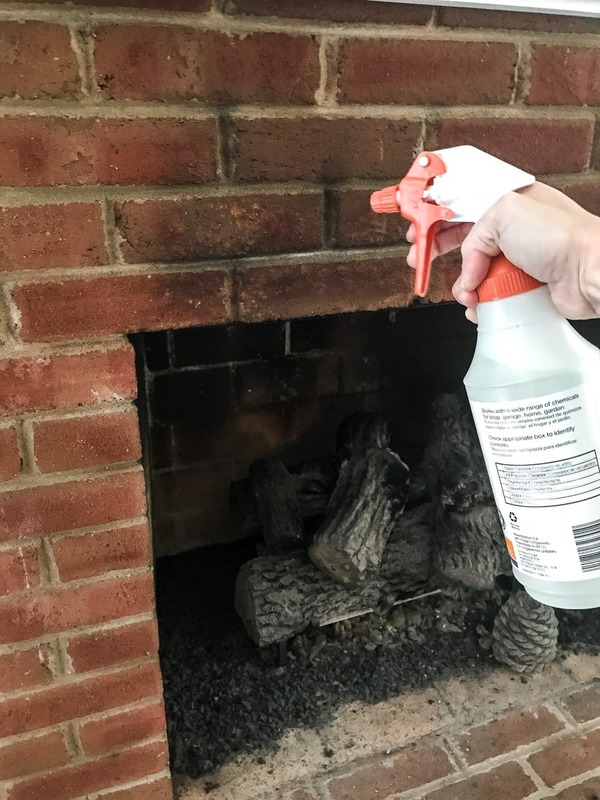 Then, using a spray bottle filled with just water, I sprayed down all of the brick to keep it damp. 4. And then brush brush brushed the lime wash all over the brick, making sure the brick stayed damp as I worked. Once it was all brushed, I let the lime wash sit for about 30 minutes until it was mostly dry to the touch. And then the real action could start. 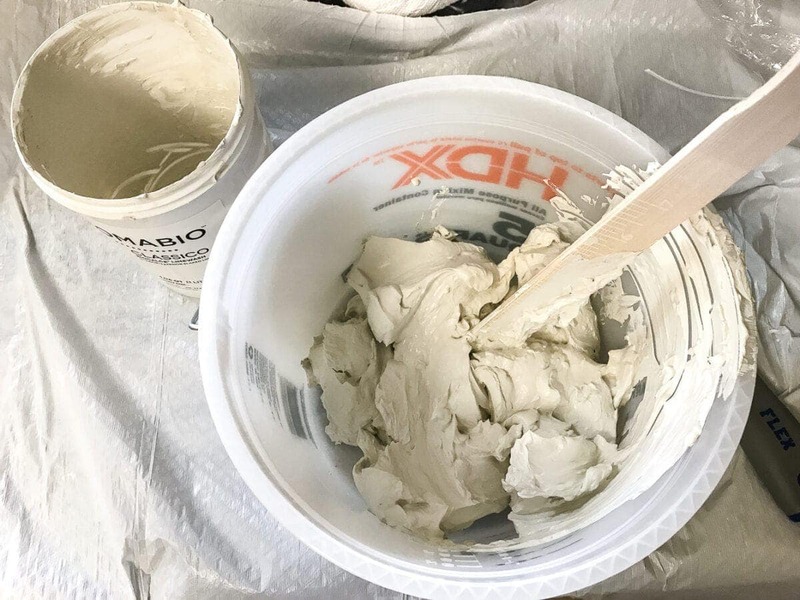 It was a long process of spraying and blotting and rubbing, and there’s really no science to it other than just work away at it until you get the look you want. Then voila! Lime washed brick. I’m sure it would have been an entirely different look if I had only brushed the lime wash on the mortar or only on some of the bricks instead of all of them. Part of me wishes I had tried that first just out of curiosity. But I still love how it turned out. 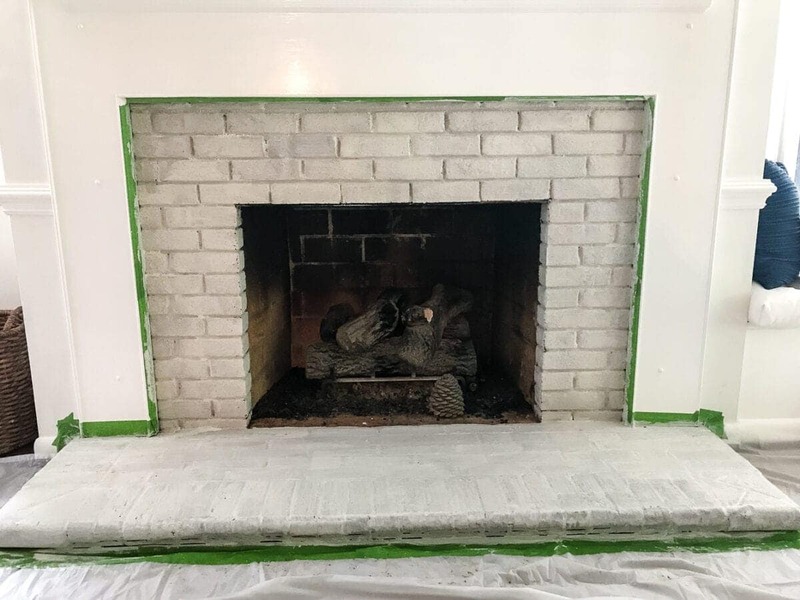 At some point, we plan to update the gas logs already in the firebox, clean it out entirely, scrub it down, and paint the inside with a high-heat paint. Until that point though, I’m not going to mess with it. It’s taken me a while to get used to, like catching yourself in the mirror after getting a super duper short haircut. But it has brightened up our living room so much and finally feels like it fits. So with the newly fancied-up fireplace, the window seat, and the fresh paint job, this living room is looking pretty much finished! We still have minute details like light switch covers (while we get electrical work done all over the house), and we still have a bare wall begging for art on one side of the room. But this spot is definitely my favorite one in the house now. 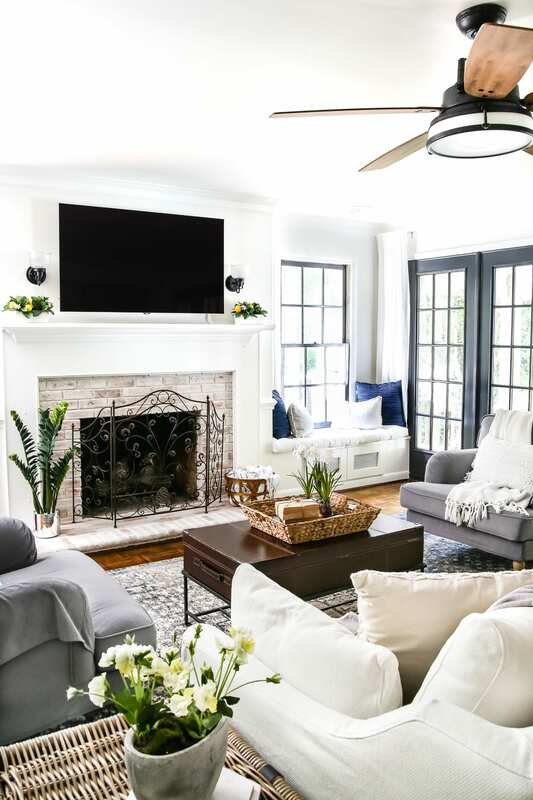 If you caught the news on my Instagram feed last week, you might already know too that Better Homes and Gardens is coming to do a photo shoot in this room with Robert and me in a few days. Whaaaat?! I’ll be sharing all kinds of sneaks about that on my Instagram Stories this Friday. And since I’ve been cleaning this place top to bottom in preparation, I’ve been washing all of our IKEA sofa and chair slipcovers, which has reminded me to give y’all a status report about those. Spoiler alert: They’re the cat’s meow and bee’s knees and dog’s pajamas all rolled up into one. Now that we’re creeping into September, I’m just itching to decorate this room for fall. But I think I’m going to sit and relish this view for a little while longer. It’s taken so much determination to get here, and I’m so thankful that Robert, Olivia, and I can finally enjoy it. So all of this begs the question… are you Team Orange Brick? Or Team Lime Washed Brick? Or are you somewhere in the white wash / German smear camp? Seriously, who knew there were so many opinions to be had about brick? Wow, Lauren. 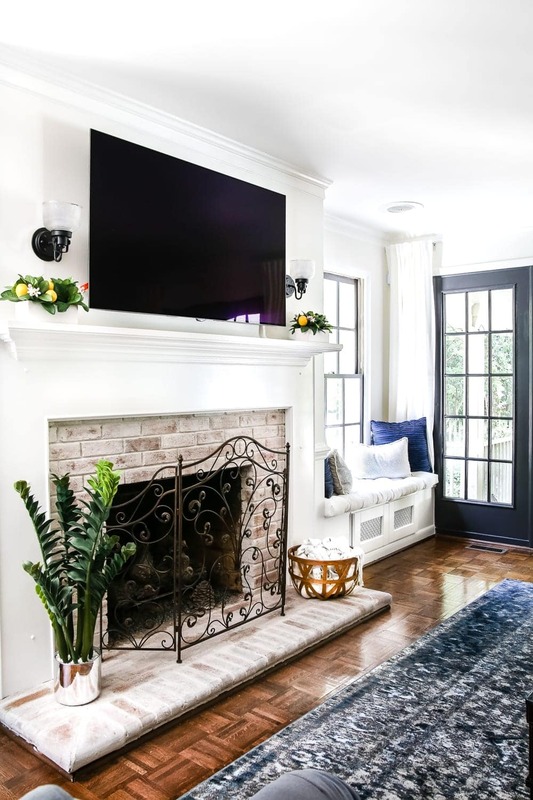 That fireplace looks amazing! Good luck with your photo shoot. 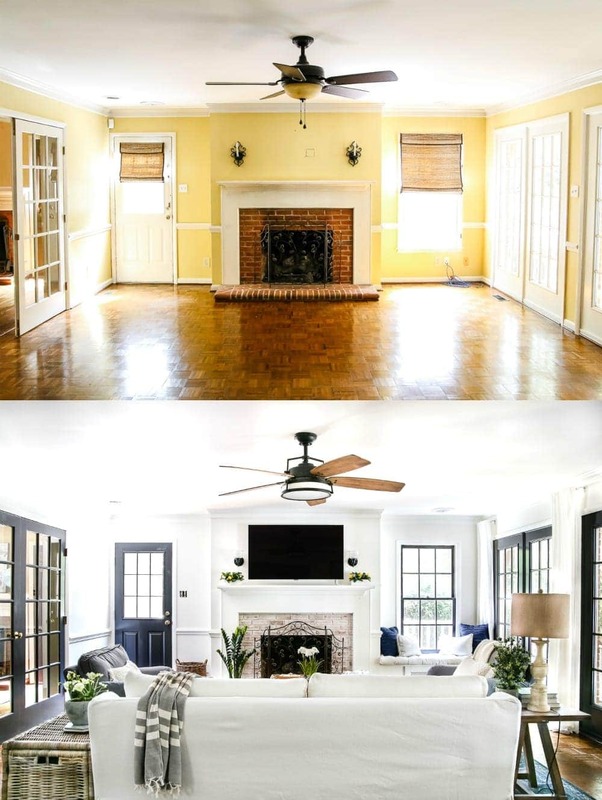 Lauren, the transformation in your living room is unbelievable. I am all the heart eyes over everything you have done in your new house! Loving this new style you have switched too. You do it so well!! It looks great, Lauren! What are your fave cotton rags to use for misc projects? Lime wach for sure ??? It looks so much nicer now Lauren and in keeping with the tone of the room. Great job! It looks fantastic! ? Lauren! 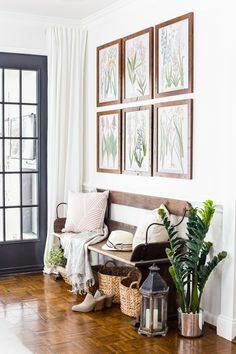 Congratulations on the Better Homes and Garden photo shoot! You certainly deserve it. ENJOY! 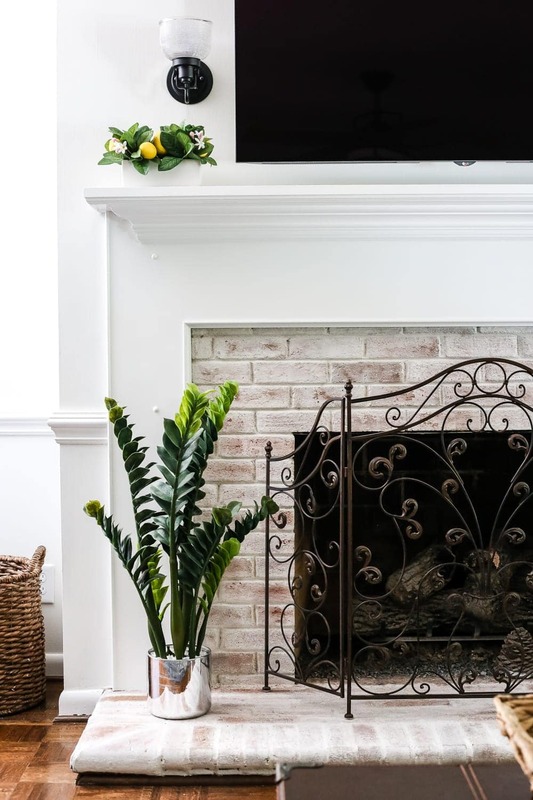 The fire place looks amazing – as does the whole room. I’ve only been following you a short time – maybe six months or more – but you are now my favorite! So pleased for you. You are blessed. The change on the fireplace is gorgeous. It looked like a lot of hard work, but it really makes the room. Great job again! Lime wash was the way to go for this brick. The before and after is amazing,love the look. Beautiful! I wish our fireplace had brick so I could do this. But alas, we have 1980’s black tile with white grout. (Yes, it is as tacky as it sounds.) I keep imagining it was put in by a guy wearing a Miami Vice pink-tee-shirt-and-white-jacket combo, thinking it would look good with his waterbed. Congratulations on the BHG photo shoot!! Please let us know what issue it’s going to be in. What a room transformation! I love what you have done to the brick! It definitely helps brighten up the area! Beautiful! Team Limewash all the way! It looks gorgeous! That brick looks so great. Totally worth all the work you put into it. As always, you come up with great ideas that’s absolutely fabulous. I love it! Oh Lauren! The fireplace looks awesome. 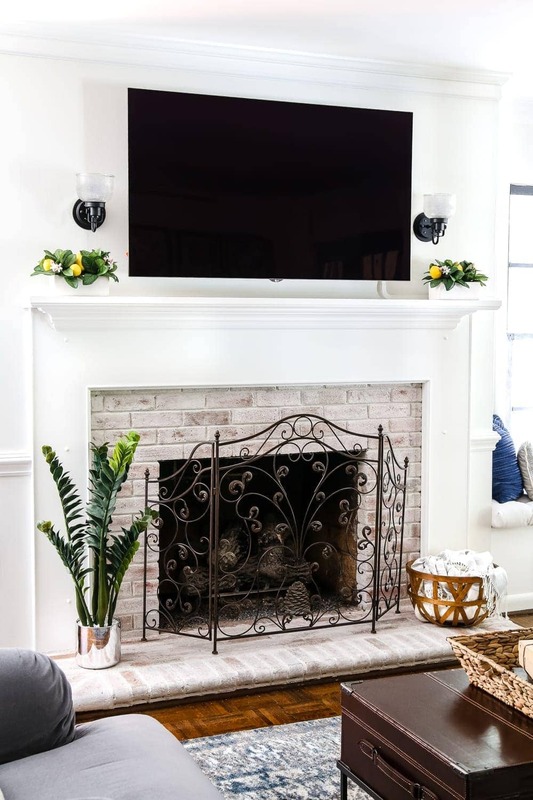 This product is just what I’ve been looking for to update the floor-to-ceiling fireplace in my family room. Thank you! Now I just have to get up the nerve to go for it! awesome. I love lime wash on walls and now I love it on brick. I think the lime wash in lieu of the German Schmear technique was the right call. The Schmear is much heavier looking and not as elegant, yet cozy as your room. So bravo! Well done and other words of congrats! Looks amazing! Your hard work was definitely worth it! I envy anyone with as much taste and talent you have. I am in awe of the difference between the before and after. If I had 1/4 of your taste I would be a happy camper. 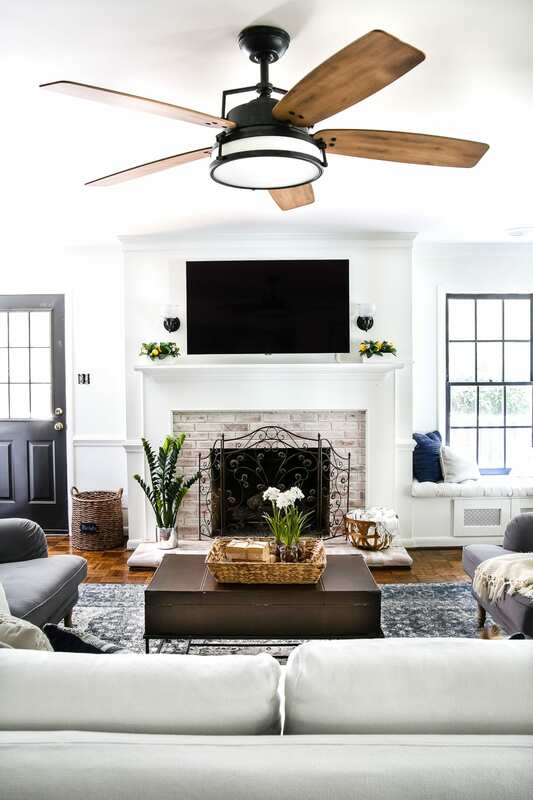 I look at what you did, and look at my living room, and wish I could transform it to look like an after, but no matter what I do, it still looks like a before. I look forward to your blog, hoping some of you will rub off on me. Fireplace is amazing. 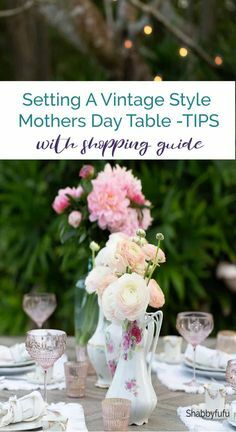 You deserve BHG. 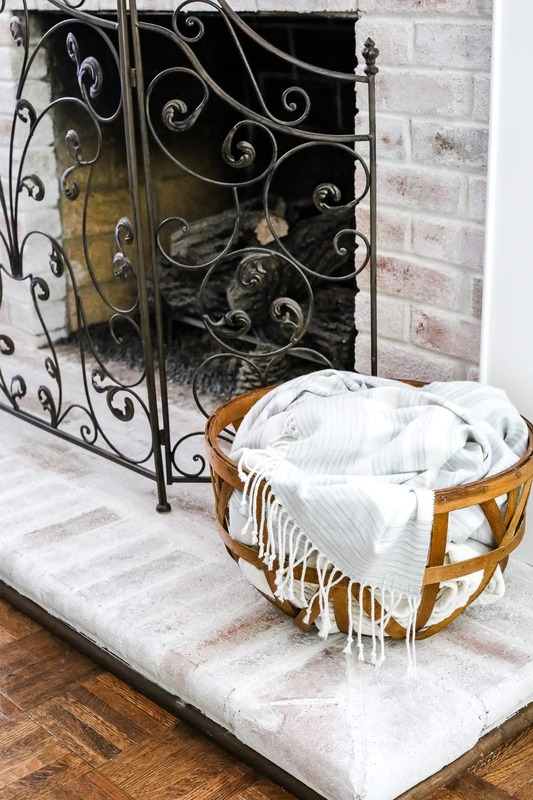 Lauren, your fireplace is just so beautiful! I love it! It was lots of work for you but just look at it now! Enjoy your lovely room! Ooooh, that is Lovely !! Job well-done !! But, where were you when I needed you? Beautiful – the washed brick looks perfect! Wow! Just wow! Absolutely stunning. Thank you for sharing! The room had a very nice layout to begin with that I really liked and now it is Beautiful!! I was going to say it was great enough to be in a magazine and fortunately someone else realized that too! Congratulations!! You should be so proud of your work, it looks amazing! The whole room is great…beautiful! 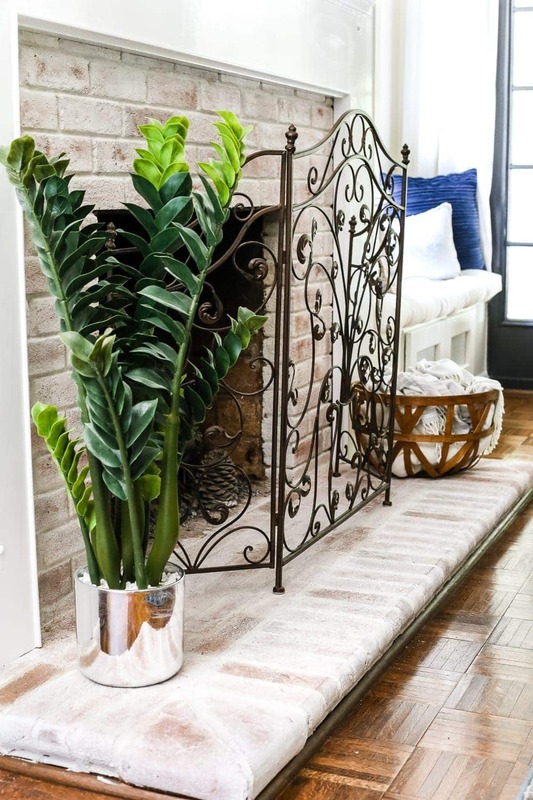 Wow, your fireplace is looks so beautiful now! I simply love it. Thank you for sharing the details with us! I love how this turned out. I’ve always loved the lime wash look too! I’m a total snob when it comes to painting brick. It seriously BREAKS MY HEART every time I see someone painting over beautiful brick. I totally get that it is not some people’s style, but that paint covers the brick pretty much forever and ever. I love the compromise that this lime wash technique provides. 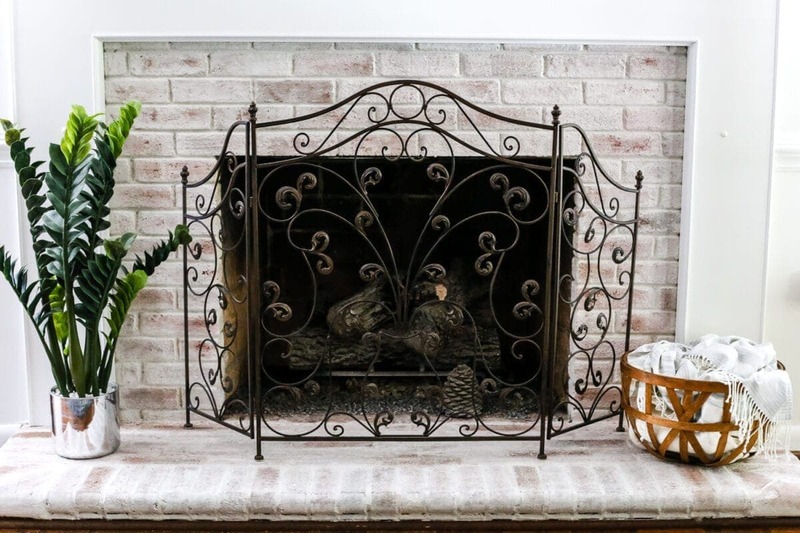 You can still see the brick underneath, but it fits in with your style better and brightens up the room. Bravo friend!! 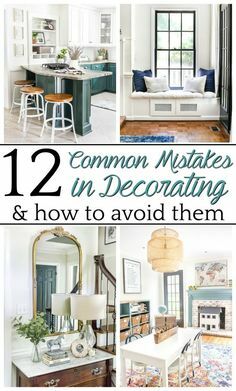 your new-to -you home is just lovely…full of great ideas…thanks for sharing with us! I’ve been totally trying to convince my hubby to let me do this. Sadly I’m the captain of creepy team orange… I’ve been trying to find someone who has “darkened” a few random bricks before painting or whitewashing. Being I have a full floor to ceiling with raised hearth wall of orange, I don’t know how it’ll look without some “texture”. I guess worst comes to worst we could always cover it with wood and trim! The lime wash is lovely. 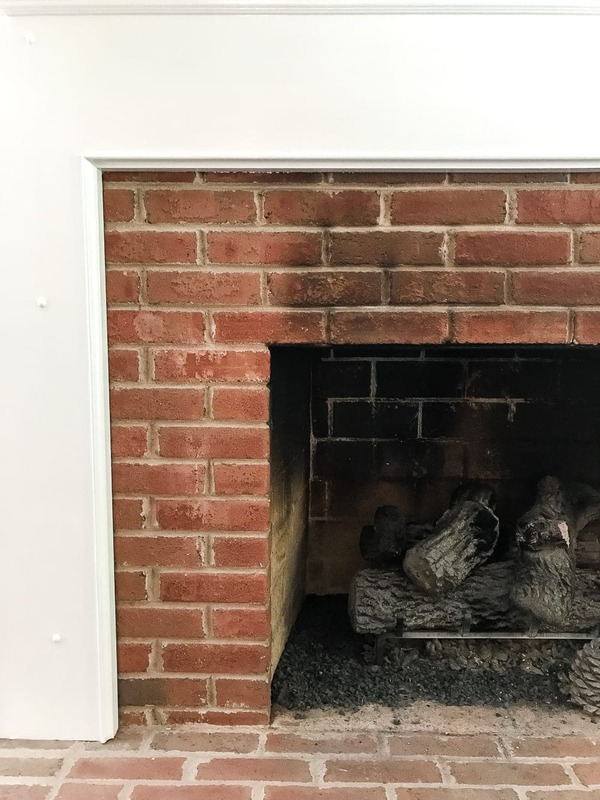 I would guess the outside of this fireplace is brick too. Maybe try the German smear out there. Is this color not the brighter white option? Thinking of doing this to my 70’s era rock wall around my fireplace. Huge stones layed in ugly dark grey exterior-looking mortar. Hate it. I’ve been thing of German schmering thickly over it, so that the stone is barely sticking out, but might try this first, less work! 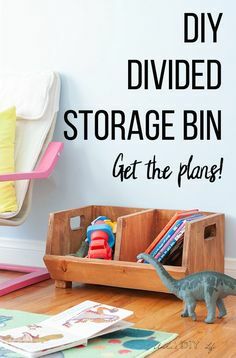 I just finished doing mine following your tutorial and I love how it turned out! Thanks so much for the inspiration! You ZZ plant is huge. I am jealous. You are neglecting it just as you should!! Haha! I wish I had that green of a thumb! It’s fake. 😉 I found it at TJ Maxx last year. Beautiful job and terrific post. Thank you for sharing. You’ve helped me decide to limewash and not whitewash nor german schmear my interior brick wall. My only question is: How long did it take you to do just your fireplace. Since mine is an entire wall, I’m nervous it’ll be a bigger job than I can handle. Thank you for any information you can give me. Glad it helped! It took me about 3 hours from start to finish on this one, and only about an hour and a half on our other fireplace. Once you get the hang of it, it doesn’t take quite as long. 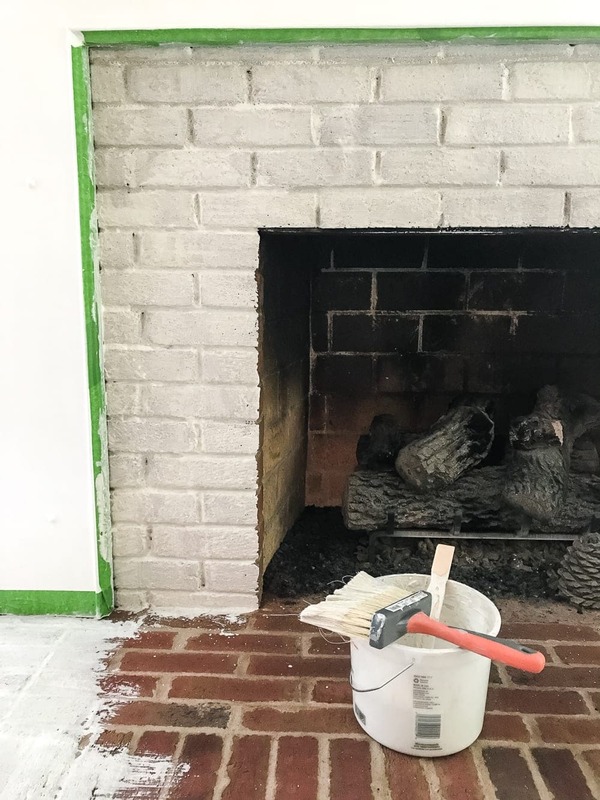 I have a brick fireplace that I want to lime wash but my brick is not smooth,it is textured. I wonder if this lime wash will work on textured brick.?? Yes! It should still work on textured. Hi Lauren – a little limewash crazy inside and out (as I wrote before, I don’t like the outside). But I do love the fireplace. I have a natural brick one myself and love the orange and red colors in it. so am leaving it be. 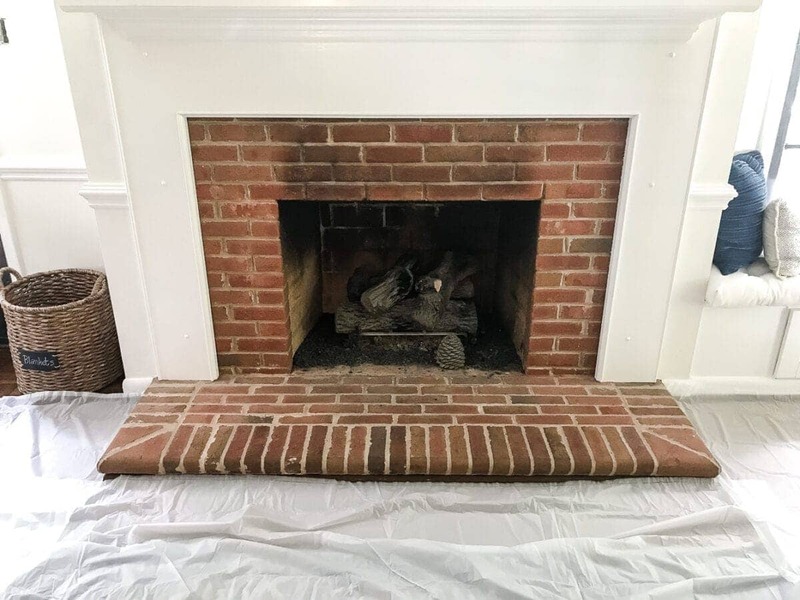 My only suggestion on this redo is to fix the bottom that the hearth is sitting on. Finish it off with a black painted wood moulding strip – or something of your choosing to finish the bottom of it. Then it would look completed. I don’t like seeing the raw edges there. It detracts from the finished look like you aren’t quite done yet.